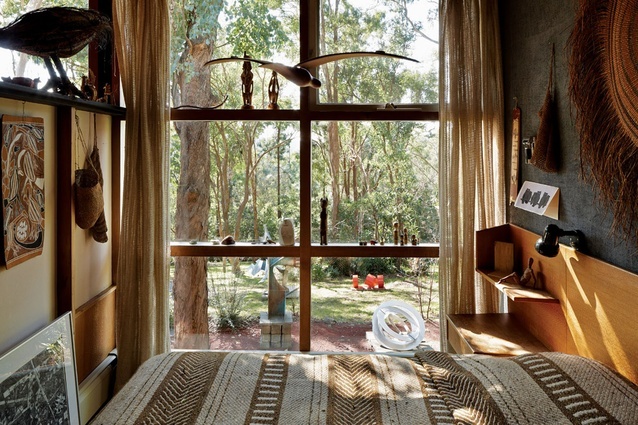 So for my return I have chosen this beautiful home and sanctury of husband and wife Sculpturist Inge King and Artist Grahame King designed by Architect Robin Boyd. 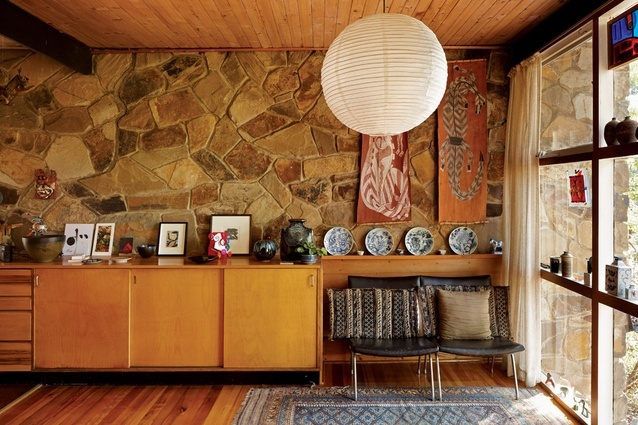 I was brought up in and therefore have always been a fan of 'period' properties but since moving into my 1960's home have really started to appreciate the large windows and more open plan vibe to properties of the middle of last century. 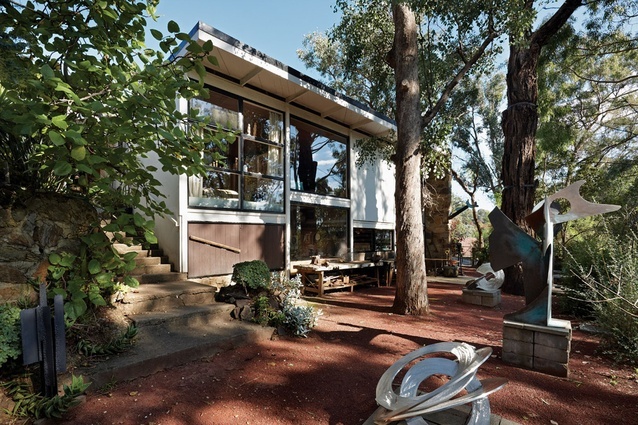 "Robin Boyd’s King House and Studios in Warrandyte, designed for sculptor Inge King and artist Grahame King, was completed in three stages in 1952, 1955 and 1964. The plan for the first stage of this house is an almost-square rectangle, four bays by three, about 120 square metres. The plan is a little confusing at first glance; it does not have a particularly recognizable figure or clear hierarchy of zones. It seems a bit loose and even empty, like an industrial building. There is one main room, with a small bathroom, porch and “bedroom” (which isn’t used as such). The kitchen, raised platform and bathroom each take up one structural bay in an offset, abstract arrangement, which gently partitions the singular space into implied zones. The plan is structurally determined, blunt and logical. 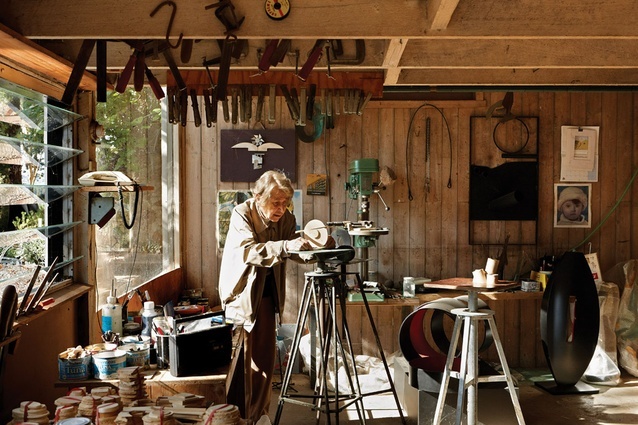 It does not easily imply domesticity – making us question, in fact, what a “house” is. 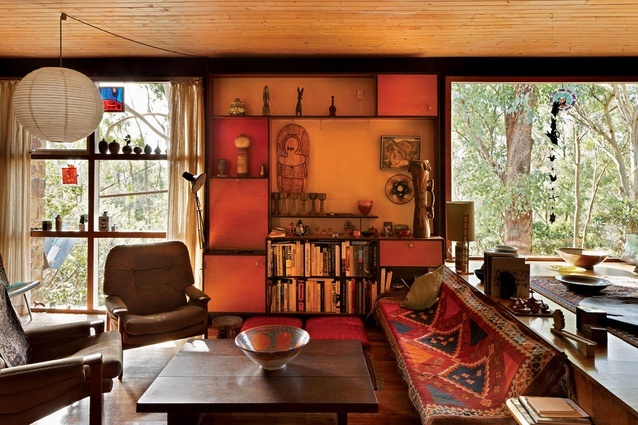 As Inge King explains, after the plans were first submitted to council the “bedroom” was added because the authorities would not permit a dwelling of only one room. The raised bay to the north of the main space is labelled as “painting platform” but was apparently most useful as a dance floor for the Kings’ infamous parties. 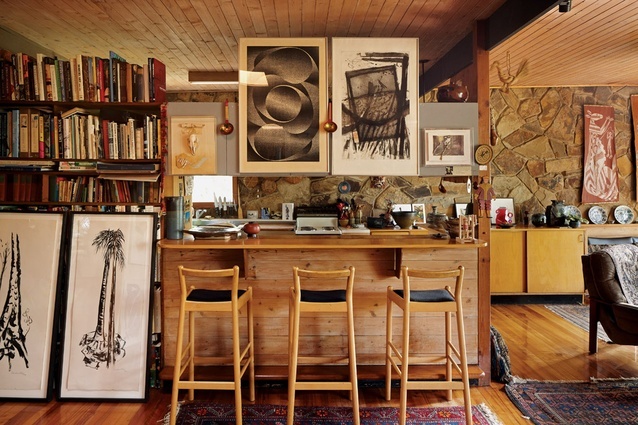 The underfloor space, which increases in height under this platform, is labelled “food store” but has been used as a workspace and studio – a space entered each morning and left sometime in the afternoon, a true home office. Here the ceiling joists in the main area are barely 1.8 metres above the floor. The exposed structure serves as racks for tools and welding clamps, or places to hang work in progress. Adjoining underfloor space up the slope has been fitted out with watertight cupboards and flyscreened cross-ventilation panels. Large plate glass windows to the north, salvaged from shopfronts, unite the lower workspace with its corresponding raised platform living space above. 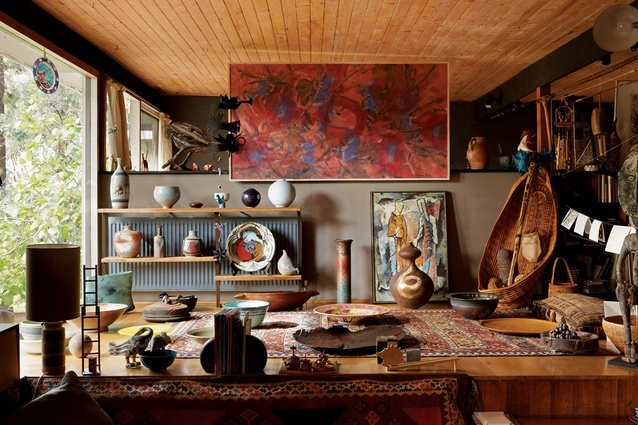 This underfloor workspace, which extends to a level gravel terrace outside, appears to function as the heart of the house – the engine room."